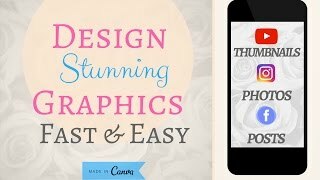 I tried making this Canva tutorial as short as possible without leaving anything important out. I think I kind of failed at that being that it’s almost half an hour long. Disclosure: Some links above may benefit me financially either by you being kind enough of buying one of my products or some recommendation where I may receive a small commission. Thank you for the tutorial. How do you actually send to social media? hello. thanks. learned a lot from you. Great tutuorial Sandra! Fun, very practical and easy to understand. You are a natural! Tks again! Sandra, you’re the bomb! Thanks for this awesome vid. Please let me know how to use canva to make a 3d book cover? Thanks to your video I made my first Canva design! Your steps helped me make something great AND makes me know I can create other things. 😊 Thank you for taking the time to share. *Subscribe button clicked. Thank you for the great tutorial, Sandra! Where does the Downloads go on a iPad mini4? Hi Sandra, I feel like the more effects I add the heavier my image becomes. I use these images on my website so the heavy images make the page download speed very slow. How do you compress your these images? This was a good tutorial. My idea is for making a cover for my book. Can I do the same for way you did for my cover? Thank you. Great video. Good delivery. Easy to follow! Thanks Sandra, you made it very easy. Excellent tutorial! I love how you teach…explaining everything. It is the same way I learn! How about for mobile? Canva has the WORST interface on mobile I have ever seen in my entire life. I think windows 8 at launch was more successful. How do you put a thumbnail onto your YouTube video ? Canva is a great tool that helps SO many entrepreneurs! Great tutorial! Thanks so much. You made so many confusing things to me so much clearer.